As a composer, the delight of hearing my music performed by someone who clearly loves the piece feels like a creative collaboration. 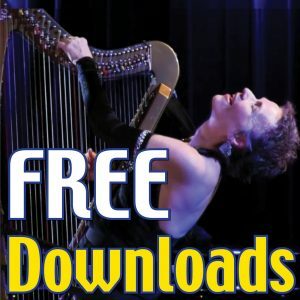 In this performance, Emma Graham & Liz Grier create their own ensemble version of the music, breaking up the solo version in many different ways for harp duo. What if YOU could Play YOUR PASSIONS? “Baroque Flamenco BEYOND the Page” is part of my 12-week online program "Building the Bones", that I created especially for YOU, the empassioned harp player! Registration is open NOW for the Fall 2018 class! Click the button to find out more and register today! Register for Building the Bones TODAY!